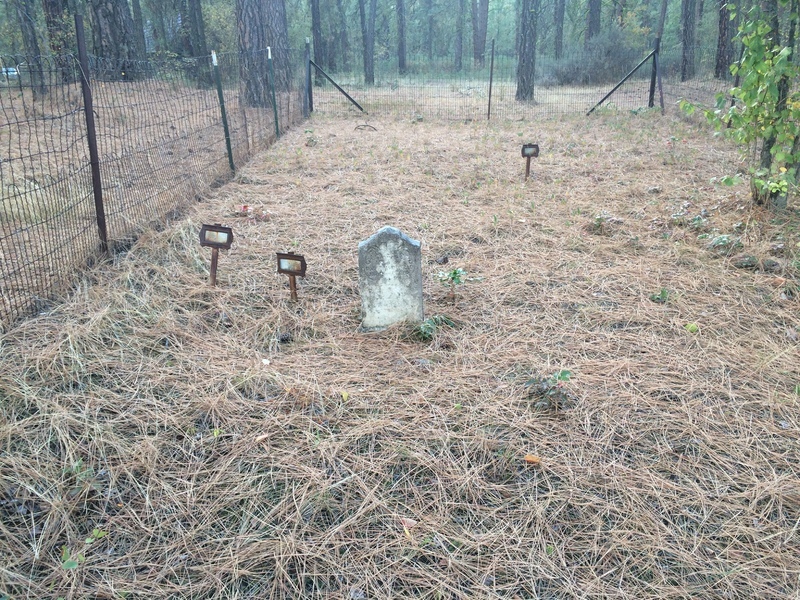 Beneath the pine needles that cover this historic cemetery lie generations of native and fur trade families. Missionaries conducted their final service at St. Paul’s Mission on August 14, 1875. Without the stewardship of the clergymen and parishioners the building quickly fell into disrepair. But although the church was no longer in use, locals continued to bury their dead in the mission's cemetery. Records for this cemetery are incomplete, but the earliest burials probably occurred soon after the mission was built in the 1840s. Proper funeral rites were an important part of the Catholic mission, including burial in consecrated ground. 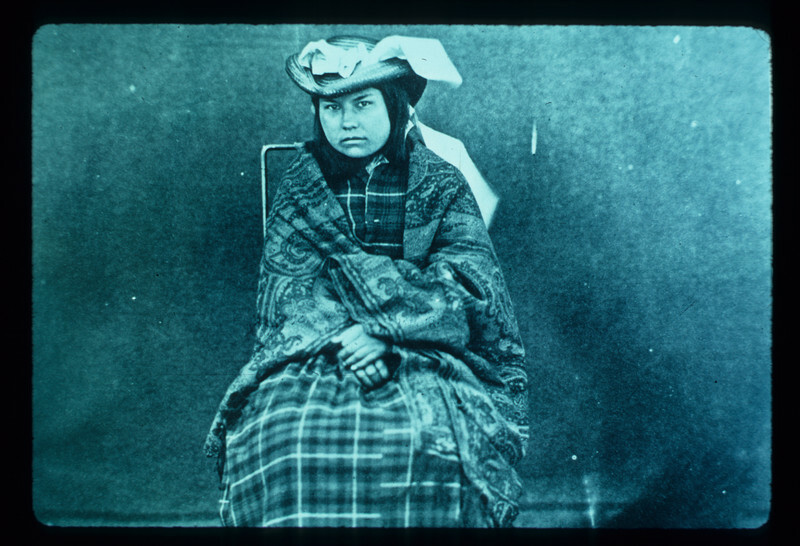 For their part, the Indians were suffering increased mortality in the 1800s as white settlers brought new diseases to the area. There are dozens of known burials here, and perhaps many more, but only a handful of grave markers remain. One small cross memorializes the 1892 death of Thomas McDonald, the five year old grandson of Angus McDonald. The McDonalds were representative of the culturally diverse families that arose during the fur trade era, when white traders (Scottish, English, and French) often married Indian women. Angus was a Scottish fur trader with the Hudson Bay Company at Fort Colvile. He married Catherine Baptiste, the daughter of a Nez Perce chief. Angus and Catherine had many children together including a daughter, Christina, who said two of her brothers were buried at this cemetery. It seems that the McDonalds continued to use this as the burial location for their family until the turn of the 20th century. Newspaper obituaries record additional burials here, including an Indian named Charles Hope and two European immigrants. 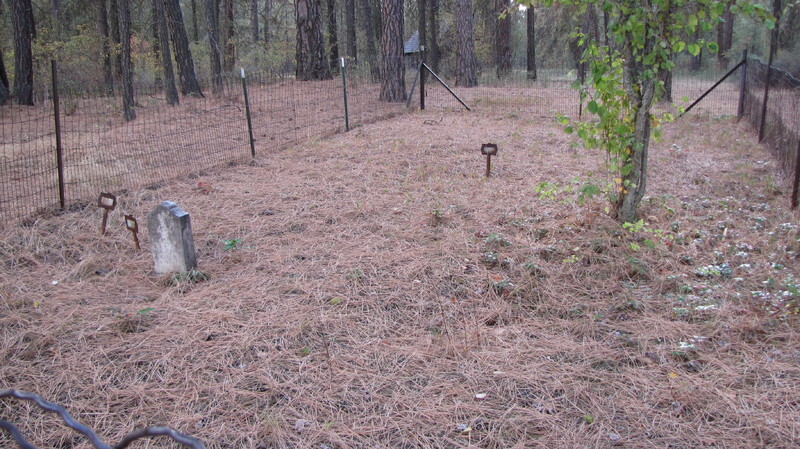 There may also be a number of graves at this cemetery that were relocated from the Mary Barnard cemetery in Ferry County to avoid the rising waters of Lake Roosevelt. St. Pauls Mission: This post card shows that after the Mission was abandoned it quickly fell into disrepair. ~ Source: Photo courtesy of the Washington Rural Heritage Project and the Washington State Library. 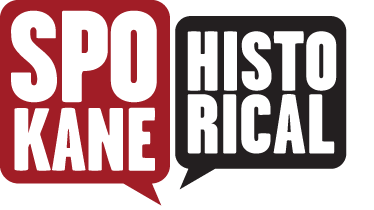 Logan Camporeale, “Buried and Forgotten,” Spokane Historical, accessed April 24, 2019, https://spokanehistorical.org/items/show/680. "The Daughter of Angus MacDonald Author(s): Christina MacDonald McKenzie Williams," The Washington Historical Quarterly, Vol. 13, No. 2 (Apr., 1922), pp. 107-117. "Obituary: Charles Hope," The Colville Examiner, September 10, 1910, Page 4. 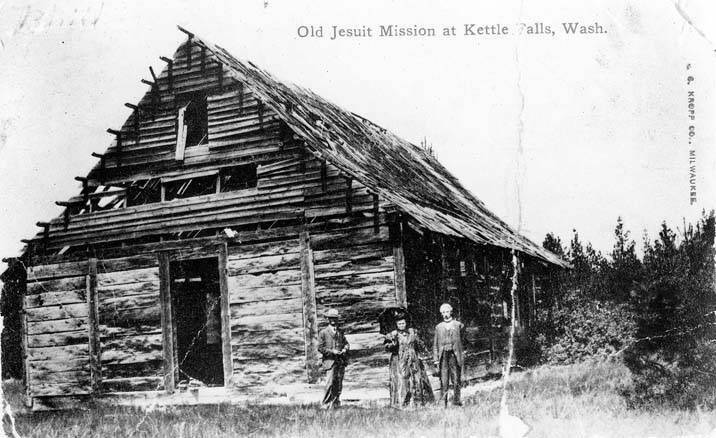 "St. Paul's Mission," Lake Roosevelt National Recreation Area, National Park Service, https://www.nps.gov/laro/learn/historyculture/mission-point.htm.